"When I first came across her book, I was happy that someone had finally put all the information an aspiring artist needs in one place." 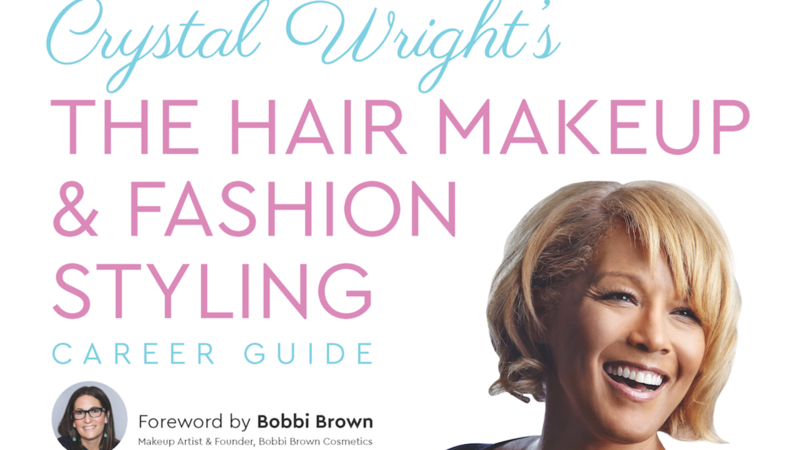 Crystal Wright's The Hair Makeup & Fashion Styling Career Guide is known as the industry bible. It is the definitive resource for aspiring makeup artists, hair stylists, fashion stylists and manicurists who desire to make it BIG behind-the-scenes in print, video, film and TV and ecommerce. If your goal is to suceed in the business––this is the book for you. Written by former celebrity styling agent Crystal Wright, it is viewed as one of the most influential books in the beauty, fashion and entertainment industries, giving answers to artists on everything from how to build an online portfolio that will get YOU jobs on magazines, CD covers, TV shows, commercials, music videos, and advertising campaigns to how to submit a proper professional invoice. With its practical advice, rare insights, detailed resources and step-by-step instructions on how to break into the industry, this one-of-a-kind book has been the go-to guide for artists like Eve Pearl, Renny Vasquez, Daniel Chinchilla, AJ Crimson and educational institutions including Make-up Designory. From building an online and print portfolio, to testing with photographers, from what it takes to get into the TV & film union to getting signing with an agency, from working with record labels to being booked by the editors of top magazines, from which companies to use when building a website to how long it takes to get paid after working on a job, Crystal Wright holds nothing back.